The Food Alphabet and More: Vote on May 9 and be treated at Starbucks! Being a citizen of one of the few countries that enjoys democracy, you have the right and the responsibility to take part in the election that will shape the future of this nation. Would you let this opportunity pass by? According to the National Statistical Coordination Board (NSCB), the voter turnout in the 2010 presidential election decreased to 75.04% from 76.99% in 2004 presidential election. This year, Starbucks Philippines’ hopes to increase voter turnout and encourage registered voters to exercise their right and enjoy the freedom to choose the country's next leaders. On May 9, exercise your right to vote for the candidate that embodies your values and aspirations. Let your voice be heard and choose the right leader that will steer our country in the right direction. In this light, Starbucks Philippines, in its mission to encourage registered voters to exercise their right to vote, launches the Care to Vote campaign that will treat Filipinos who will vote on May 9 to a One For You, One to Share (Buy One, Get One) promotion on its featured Macchiato beverages, Roasted Caramel Macchiato and Chocolate Hazelnut Macchiato. “Starbucks strives to inspire and nurture the Filipino community even by simply encouraging people to vote. 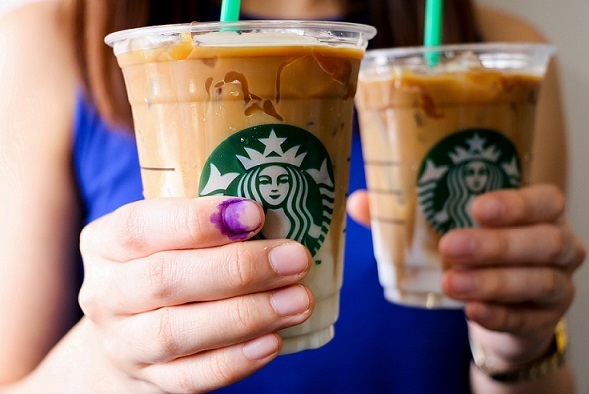 In our little way, we want to reward all the registered voters who exercise their privilege and right,” said Starbucks Philippines head of marketing Keith Cole. To avail of the promotion, just show your voting finger with indelible ink to the Barista when you order any featured Macchiato beverage to redeem the complimentary featured Macchiato beverage. Promotion runs in all Starbucks Philippines stores that are open on Election Day, May 9 from 7am to 5pm. Build a better nation and take part! Vote and enjoy a treat with Starbucks.